"JAMESTOWN, N.C. — Cline Observatory at Guilford Technical Community College will host a series of events in April as part of the 2015 North Carolina Science Festival, a multi-day celebration showcasing science and technology across the state. The following events are free and made possible by a $500 sponsorship grant from the North Carolina Science Festival. All events will take place on GTCC’s Jamestown Campus, 601 E. Main St., Jamestown. This event is an interactive evening of demonstrations and short presentations centered on meteorites. Noted North Carolina meteorite dealer John Sinclair will exhibit a variety of specimens from his own collection, along with displays from the extensive meteorite holdings of the Pisgah Astronomical Research Institute. Additional chemistry/physics/geology presentations and activities will be presented throughout the evening. The event is family-friendly. Cline Observatory will be open for telescope viewing, weather permitting. How close do asteroids and comets come to Earth? Just how common are planetary impacts, and what are the effects? Michael Solontoi, assistant professor of physics and astronomy at Lynchburg College, will discuss the study of our neighbors in space. The talk is presented by the Stellar Society — GTCC’s student astronomy club. Cline Observatory will be open after the talk for telescope viewing, weather permitting. Across the state, astronomy clubs, state and local parks, planetariums and nature centers will host public skywatching sessions. Participants will have an opportunity to view a variety of celestial objects, both inside and outside of the solar system, through provided telescopes. The event is family-friendly. For more information, visit http://www.gtcc.edu/observatory or contact Tom English, professor of astronomy at GTCC and director of Cline Observatory, at trenglish@gtcc.edu or 336-334-4822 ext. 50023. As an official 2015 North Carolina Science Festival event, GTCC is among hundreds of community-based events showcasing STEM (science, technology, engineering and mathematics) activities for the citizens of North Carolina. Founded in 2010, the North Carolina Science Festival is the first statewide science festival in the United States. 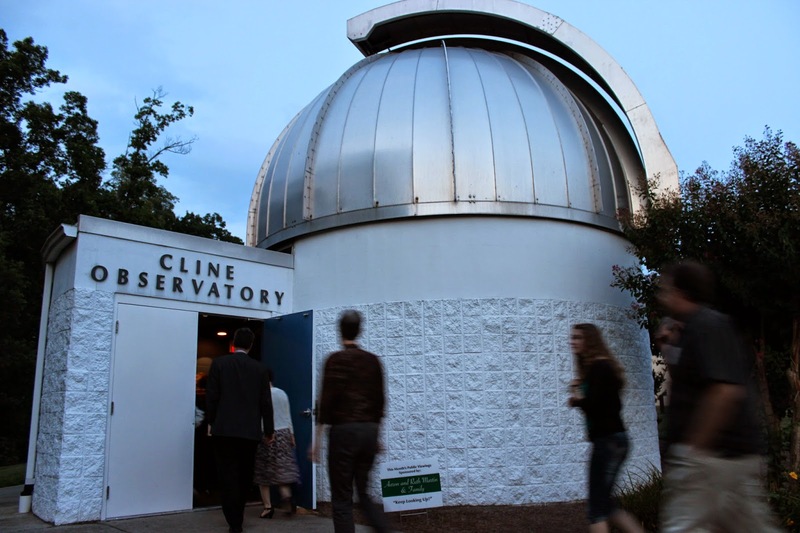 GTCC’s Cline Observatory has participated in the festival since its inception. During a two-week celebration each spring, the festival brings hundreds of events (hosted by schools, colleges, libraries, museums, parks, businesses and other community organizations) together under one banner to recognize the economic, educational and cultural impact of science in North Carolina. The festival is presented by Biogen Idec Foundation and produced by Morehead Planetarium and Science Center at the University of North Carolina at Chapel Hill. For more information, visit www.ncsciencefestival.org. Guilford Technical Community College is the third largest of 58 institutions in the North Carolina Community College System. GTCC serves more than 40,000 students annually from five campuses and a Small Business Center. Learn more at www.gtcc.edu."